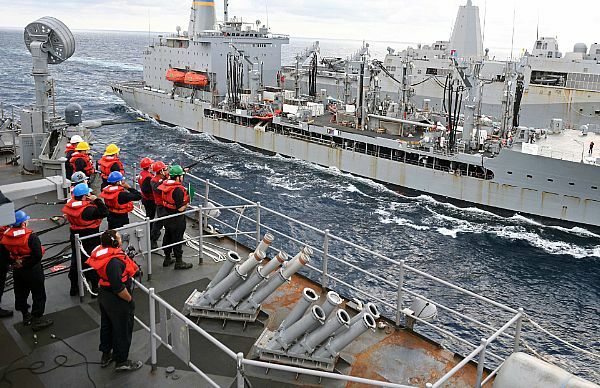 I have a post up at Forbes.com, discussing how emerging/re-emerging navies are exploiting the U.S. Navy’s increasingly shabby visage. I urge you all to take a look, here. There are a few other ancillary items that didn’t make the piece, but they were interesting enough to merit additional discussion. Many of you probably dismiss naval reviews and port calls as meaningless time-wasters. Other readers are probably mulling time-worn adages about how units are either good at review or good at fighting–never both. I disagree. Image may not be everything, but good-looking ships certainly instill a sense of pride in their crews. Grungy ships can help some ugly habits to take root. I also think that if a Navy doesn’t look the part, the organization risks losing a certain amount of public respect or standing. Certainly, “professionals” out there might know rusty-looking U.S. Navy ships are ready, but, to the general public in quite a few countries, image is everything. It is, at some level, a simple matter of psychology–why else do Fire and Police Departments spend an enormous amount of time keeping their vehicles clean? It’s not because they like the local car wash. It’s because they need to represent their community in a positive fashion–and that they probably reap operational benefit from being tidy. But it’s not just about projecting a squared away public image; you’ve got to exploit that image, too–or it’s not worth the bother. The outcomes might be hard to quantify, but…any way you cut it, pier-side and public engagements, backed by a proud, squared-away “Grey Diplomat or two”, are important opportunities to engage a host country and help welcoming ex-pats peddle their various influences. China is doing quite well at this. The PLA(N) knows the value of good stage management, they understand the power of imagery, and they (along with the rest their government) have invested a good amount of energy working the soft-power angles that they can extract maximum value from their platforms. Take the PLA(N) visit to the U.S. in 2015. I’d love to know a bit more behind the decision-making process that led the Chinese Fleet’s visit to Mayport, Florida. Did the PLA(N) push for a Mayport visit? Did they reject other options? I’m interested because the Florida visit–landing in Donald Trump’s backyard–seems quite fortuitous now. That’s how soft-power works. But…I’d wager that the U.S. Navy, the State Department and other agencies lack sufficient bandwidth (or interest) to even attempt such a sophisticated integration of various threads of various types of, ah, public diplomacy. My sense is that some in the Navy approach ceremonial port calls as, at best, logistical problems to be overcome rather than interesting opportunities to be fully exploited via an all-of-government approach. And that’s….that’s a problem. The second issue is the Navy’s apparent unwillingness to recognize obvious, albeit uncomfortable truths, and an unwillingness to socialize/disseminate those truths into disparate command chains. 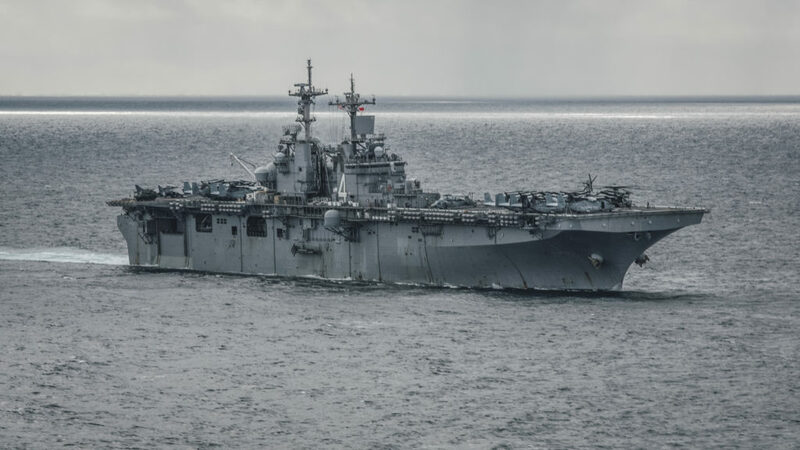 Take the USS Boxer’s inability to sail for RIMPAC 2018. Boxer couldn’t sail, and the Brazilians–who were participating for the first time and were planning to sail on the Boxer–dropped out of RIMPAC in early July, probably in disgust. It was a diplomatic mess–made even worse by the fact that the Boxer should have been pulled as an option back in late 2017. So….why was Boxer being used? Anybody with a brain would have realized months in advance of RIMPAC that the Boxer was getting stuck in the yard and was unlikely to be ready in time to support the exercise. The Boxer entered the yards for a refit that was supposed to be completed by October 2017, but the schedule slid right and just kept sliding. But…nothing happened. And then, after post refit sea-trials only started in the last days of February 2018, again, RIMPAC should have been removed from the ship’s schedule. And THEN, somehow, somebody in charge thought it might be a good idea to schedule a CO change of command in July, right in the middle of RIMPAC SOCAL–the operations Boxer was originally slated to support. So, the long and short of it is that there was just no way the Boxer was going to get to RIMPAC. The Boxer should have been pulled from the slate of available ships in October (at the very least! ), and an effort to find the Brazilians a place on a suitable ship should have started right then and there (if not before!). But my sense is that nothing happened. Why? Why did the material condition of the vessel fail to inform planning? Were leaders insisting the ship be ready and refusing to enable work-arounds? Did they even know? Why didn’t anybody probe alternatives? Who was in charge of this clusterf**k?! This apparent institutional failure to absorb and confront cold, hard fact is distressing, and it would, in this case, be worth conducting a deep, forensic analysis on the Navy’s communications and decision-making process here. I certainly could be wrong, but from the outside, the Boxer saga feels like a mix of ugly command climate, informational silos, and a sludgy, almost cowardly kicking-the-can-until-the-last-possible-minute form of decision-making. It’s got the same feel as the decision-making process that led to the USS McCain and USS Fitzgerald disasters. I am worried. When real indications and warnings fail to transmit effectively….it’s how Pearl Harbor happens. Yeah, I agree, but we’re not the audience. Other folks, with other expectations ARE, and they may not understand. Also, if you’ve watched Chris Cavas’ tweets, he’s been noting that ships are LEAVING for deployment looking shabby. Improvements, as they say, can be made. If a beauty contest is the hot new axis of competition, we should understand it and work within that framework. To this day I’m still convinced that a rusty U.S. Navy ship is indicative of a busy and successful deployment, while a rusty Russian/Soviet ship is indicative of a failed politico-economic system. Funding and manning are factors, but sometimes it’s the nature of a region’s climate. The tropics accelerate rust and decay, while winter north of the 40th parallel Is no place to re-paint a hull from a bosun’s chair.